At ResourceSpace we have a deep understanding of the Digital Asset Management requirements within the Museum and Heritage sector. We have close partnerships with clients such as The Walter Art Museum, who have benefited from extensive time savings. We know that in a museum or gallery environment, you're processing, maintaining and cataloguing thousands of items for conservation and public consumption. But just because many of your artefacts may be ancient, doesn't mean your systems have to be. 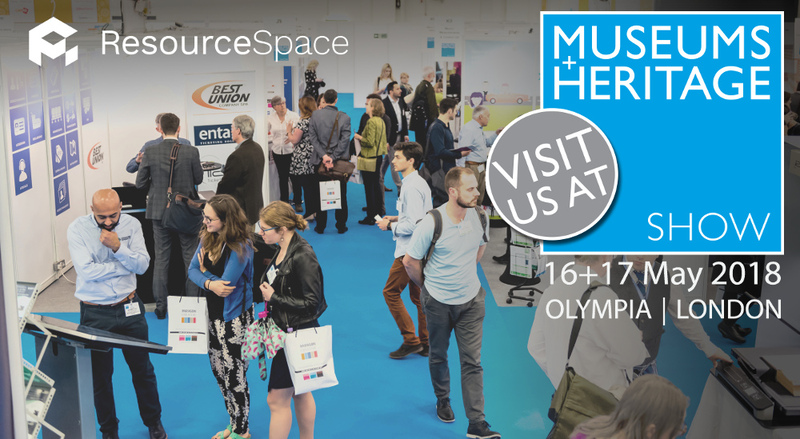 If you're used to utilising The Museum System (TMS) or EMu throughout your working day, you can now combine the systems you already rely on with ResourceSpace, for unified transfers and syncing. And with our extensive API and skilled technical team, we're able to integrate with other systems across your organisation, so your digital assets can be accessed from where they are most needed. We will be on stand M3, and look forward to learning more about your DAM project requirements. You can register for your tickets now on the event website.